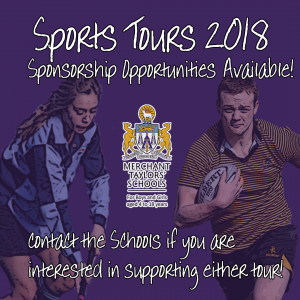 We are looking for support for our upcoming sports tours for both the Senior Boys’ and Senior Girls’ School squads. The Boys’ Rugby Tour will see them travel to New Zealand and Fiji, while the Girls will play Hockey and Netball in Australia and Singapore. If you would be interested in sponsoring a pupil or the tour itself, please contact the Schools on the following addresses. We would welcome any support!